Grand Cayman, Cayman Islands, December 12, 2016 - CCRIF SPC (formerly the Caribbean Catastrophe Risk Insurance Facility) made a payout of US$1,110,193 to the Government of Nicaragua as a result of the passage of Hurricane Otto which triggered a payment on the countryís Tropical Cyclone policy. The payment was made on December 9th ñ 14 days after the passage of the hurricane. November 7, 2016. Port-au-Prince, Haiti - Today the CEO of CCRIF SPC, Mr. Isaac Anthony met with Haiti’s Minister of Finance, Hon. Yves Bastien and his advisors to discuss the recent payouts of US$23.4 million to Haiti made under the country’s tropical cyclone and excess rainfall policies, as a result of Hurricane Matthew’s passage through that country last month. Grand Cayman, Cayman Islands, October 12, 2016 – CCRIF SPC (formerly the Caribbean Catastrophe Risk Insurance Facility) is now preparing to make additional payouts totalling almost US$8 million to CCRIF member countries. These payouts will be made to Haiti, Barbados, Saint Lucia and St. Vincent & the Grenadines as a result of the heavy rains from Hurricane Matthew, which triggered payments on these countries’ Excess Rainfall policies. 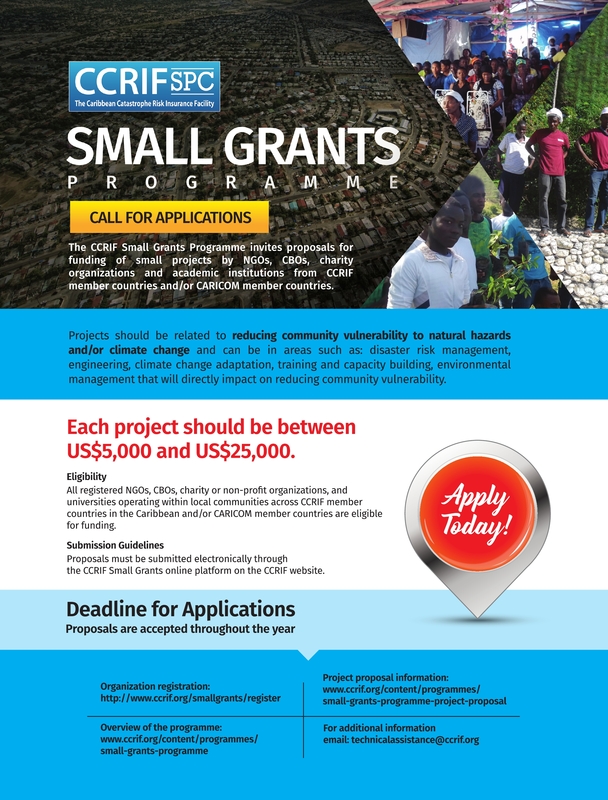 Grand Cayman, Cayman Islands, October 6, 2016 – CCRIF SPC (formerly the Caribbean Catastrophe Risk Insurance Facility) is preparing to make a payout to the Government of Haiti as a result of the passage of Hurricane Matthew which triggered a payment on the country’s Tropical Cyclone policy. Based on preliminary calculations, Haiti will receive a little over US$20 million – the largest payment ever made by CCRIF. This was revealed this afternoon by CCRIF Chairman Mr. Milo Pearson at the IMF/World Bank Group Annual Meetings. 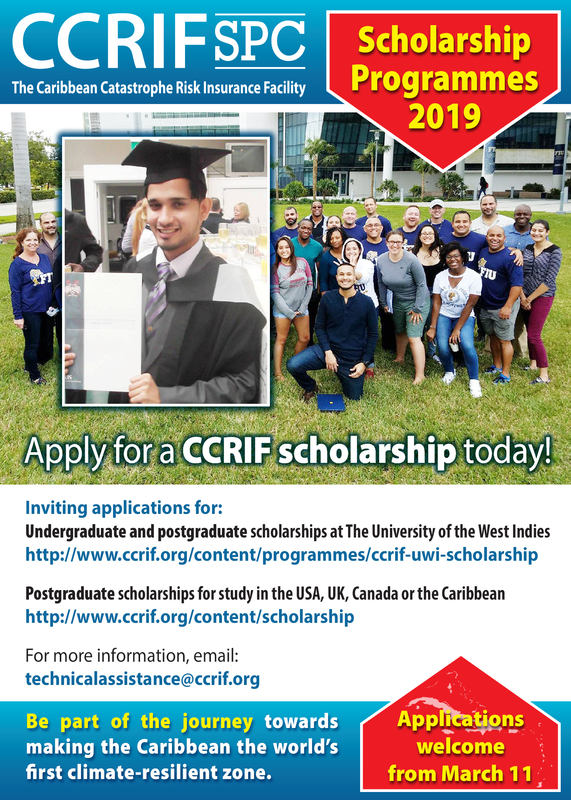 Grand Cayman, Cayman Islands, September 16, 2016 Through the CCRIF Regional Internship Programme, recent university graduates and young professionals throughout the Caribbean now have an opportunity to enhance their work experience in disaster risk management. 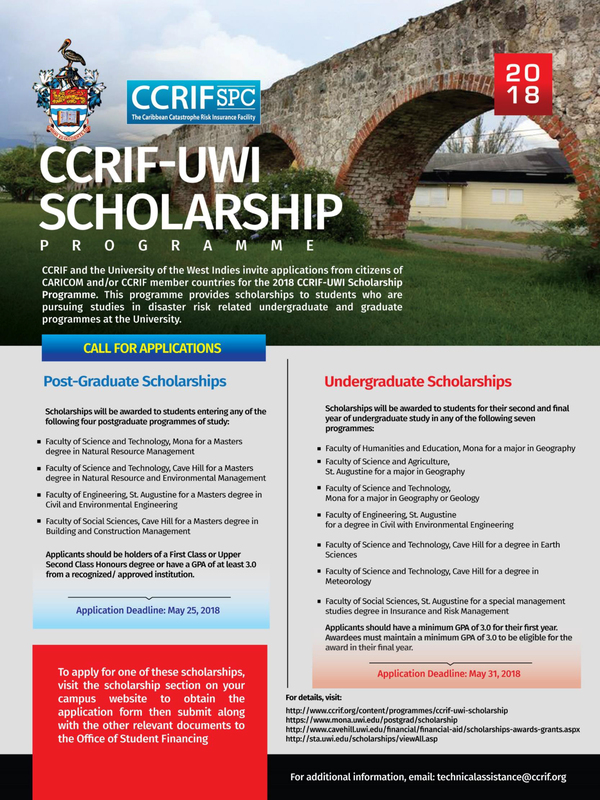 Since the launch of the programme in 2015, CCRIF has placed 45 interns at 18 national and regional organizations, investing over US$140,000 so far in these young persons. These interns are citizens from 8 Caribbean countries. WASHINGTON, April 15, 2016 - The European Commission and the World Bank signed today a Euro 14 million agreement to be executed by the Multi-Donor Trust Fund (MDTF) to facilitate access to low cost, high quality catastrophe risk insurance for the governments of Central American countries and the Dominican Republic. Full details attached.